Forward-looking: At some point, Alphabet may work to globally exterminate all mosquitoes. Initial test results of releasing infected specimens that are incapable of breeding have been extremely positive. Environmental effects are not yet fully understood. In Fresno County, California, mosquitoes have become an unwelcome nuisance. In other parts of the world, the bloodsucking pests carry deadly diseases responsible for taking the lives of more than one million people every year. So why exactly is Alphabet releasing hundreds of thousands of mosquitoes regularly then? 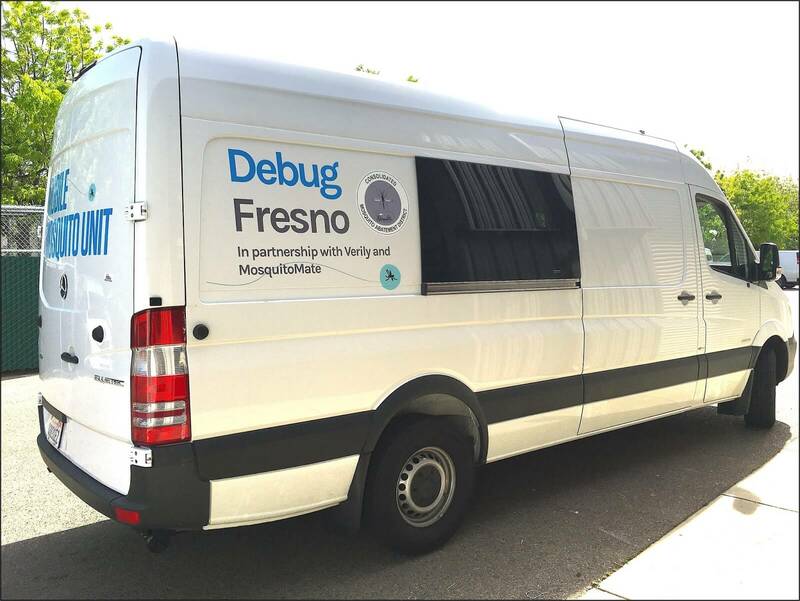 Alphabet has been driving around in vans equipped with tubes full of male mosquitoes infected with Wolbachia, a common form of bacteria. The tech-laden vans have computers with software to determine the optimal area to release the swarms and can count each and every insect that is deployed with lasers. Upon mating with other mosquitoes, the offspring will be unable to hatch, thus eliminating future generations. Growing mosquitoes and infecting them in mass is surprisingly easy. The process has been fully automated by Verily, Alphabet's life sciences subsidiary. Robots package the insects with water and air in containers that keep them warm. Every mosquito is given an unique ID so that they can be tracked from egg to full maturity, and then the GPS location of their release. During 2017, Verily's initial trials showed extremely promising results. This year, two vans have covered areas with more than 3,000 homes, releasing more than 15 million mosquitoes. During the 2017 trials, mosquito populations fell more than two-thirds. Improvements to the process reduced the population by 95 percent this year. Another trial was conducted in Innisfail, Australia where the population was reduced by 80 percent. Below: Verily's Scientist Jacob Crawford shows a demo box of sterile, male mosquitoes who may land on your hand - but like all male mosquitoes - cannot bite. Although the consequences of decimating the entire global population of mosquitoes is not yet fully understood, there is reason to believe that greatly reducing numbers would be beneficial. Verily has not been willing to reveal what its process costs, but rest assured it is fairly expensive. However, fighting malaria and other diseases carried by mosquitoes is not cheap either, so there may be some viable trade offs.